Your Security - Swope, Rodante P.A. We are proud to have worked side by side with some of the top rated lawyers in the country on complicated catastrophic injury cases. With the vast majority of our cases coming from referring attorneys, we consider it a great honor to have earned the respect and trust of our esteemed colleagues. To us, the quality we deliver to our clients is much more important than getting a high volume of cases through the door. In fact, you’ll find that our firm is extremely selective about the cases we take on. We are discerning for the simple reason that we feel every client deserves first-class treatment. The top awards and recognitions we have earned over the years are a direct reflection of this philosophy. U.S. News – Best Lawyers “Best Law Firms” Tier 1 ranking was determined through an overall evaluation of all qualifying law firms, derived from a combination of impressive client feedback and feedback from lawyers in other firms within the same practice area. Swope, Rodante P.A. is received a Tier 1 ranking in the practice area of Personal Injury Litigation – Plaintiffs . For over a century, people have relied on the LexisNexis Martindale-Hubbell Law Directory for authoritative information and reviews on the legal profession from a worldwide perspective. The Martindale-Hubbell Peer Review Ratings attest to a lawyer’s legal ability and professional ethics, and reflect the confidential opinions of members of the Bar and Judiciary. The legal community respects the accuracy of ratings because it knows that its own members — the people best suited to assess their peers — are directly involved in the process. Avvo is a national organization that rates attorneys and doctors in specific regions throughout the country. Avvo’s comprehensive rating system carefully reviews a lawyer’s background and overall profile, which includes years in practice, disciplinary history, professional achievements and industry recognition. Avvo performs rankings in 19 different legal categories and periodically collects background data from multiple sources, including state bar associations, court records, lawyer websites and other pertinent information. Dale Swope is rated 10.0/10.10 “Superb” which is the highest rating. Angela Rodante has an “Excellent” rating. Brandon Cathey has an “Excellent” rating. Stephanie Miles has an “Excellent” rating. 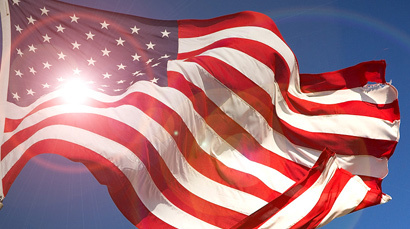 The American Law Institute is the leading independent organization in the United States producing scholarly work to clarify, modernize, and otherwise improve the law. The Institute (made up of 4000 lawyers, judges, and law professors of the highest qualifications) drafts, discusses, revises, and publishes Restatements of the Law, model statutes, and principles of law that are enormously influential in the courts and legislatures, as well as in legal scholarship and education. ALI has long been influential internationally and, in recent years, more of its work has become international in scope. Swope, Rodante P.A. founding partner Dale Swope is a member of The American Law Institute. Best Lawyers awards attorneys after conducting exhaustive peer-review surveys in which tens of thousands of leading lawyers confidentially evaluate their professional peers. If the votes for an attorney are positive enough for inclusion in Best Lawyers , that attorney must maintain those votes in subsequent polls to remain on the list for each edition. The nineteenth edition of The Best Lawyers In America (2013) includes 50,178 attorneys in 128 practice areas, covering all 50 states and the District of Columbia, and inclusion in this year’s publication is based on more than 4.3 million detailed evaluations of lawyers by other lawyers. 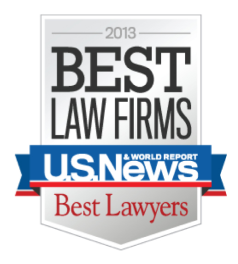 Dale Swope and Angela Rodante have all been selected among the The Best Lawyers In America (2013). Less than 4% of the 900,000+ attorneys listed on martindale.com and lawyers.com have been accorded this Martindale-Hubbell honor of distinction. 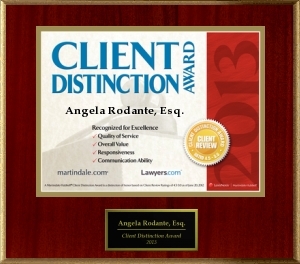 Angela Rodante has earned this distinction.